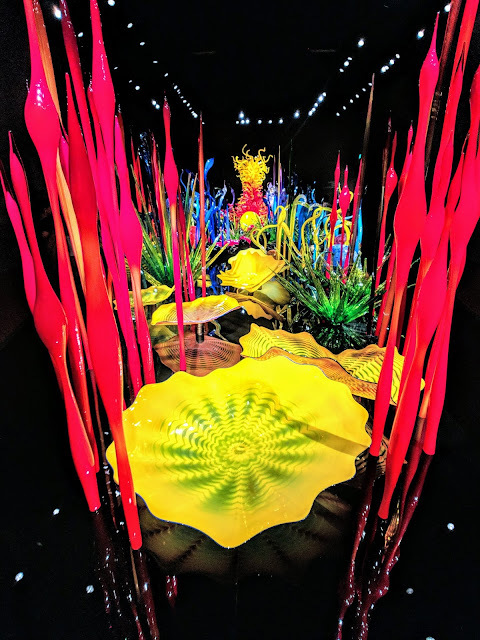 The Chihuly Garden and Glass is an exhibit in the Seattle Center, next to the Space Needle, showcasing the art and glasswork of Dale Chihuly. 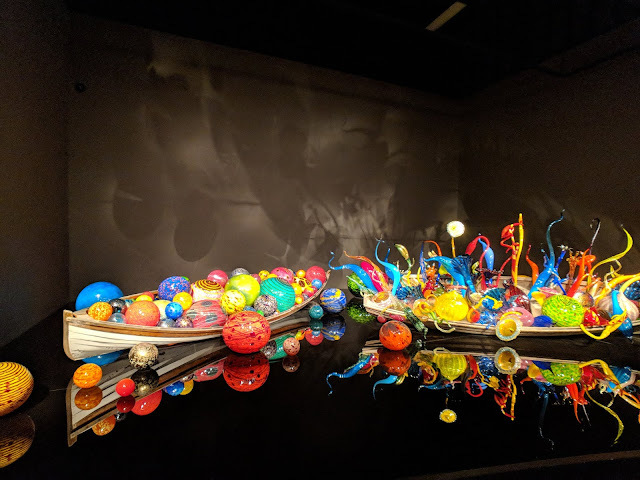 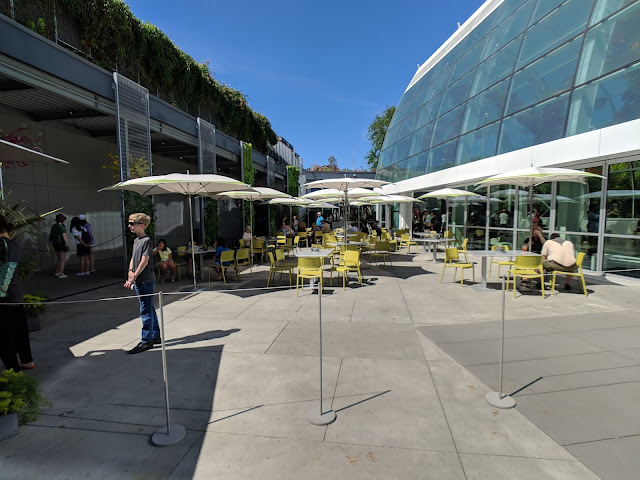 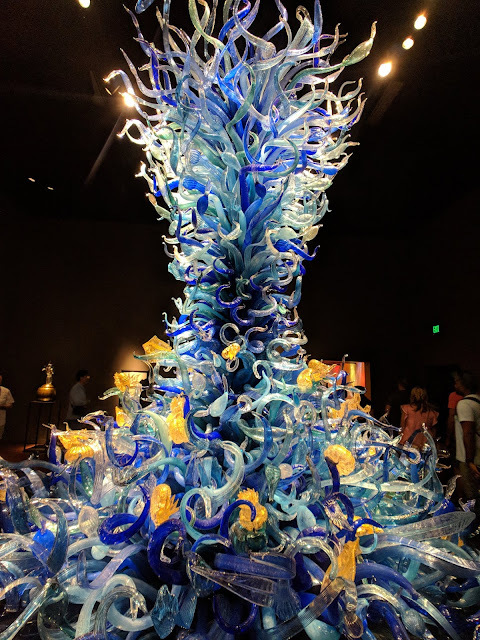 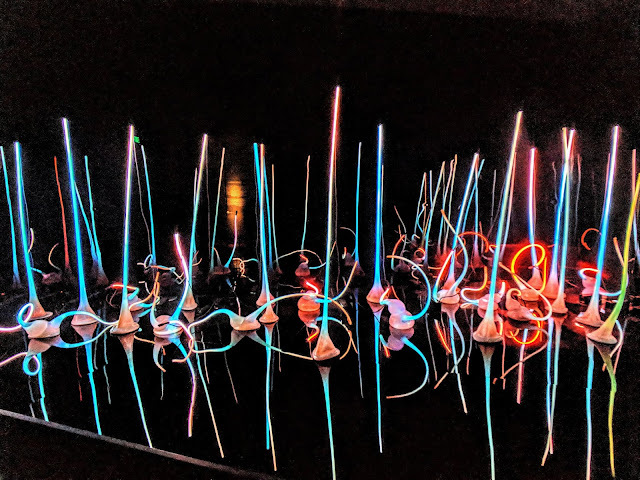 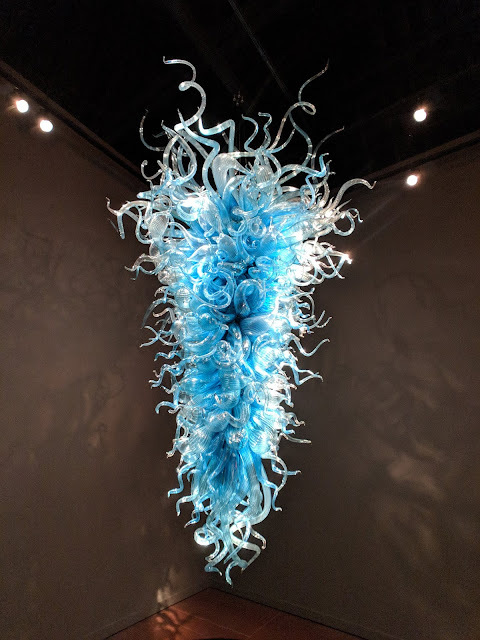 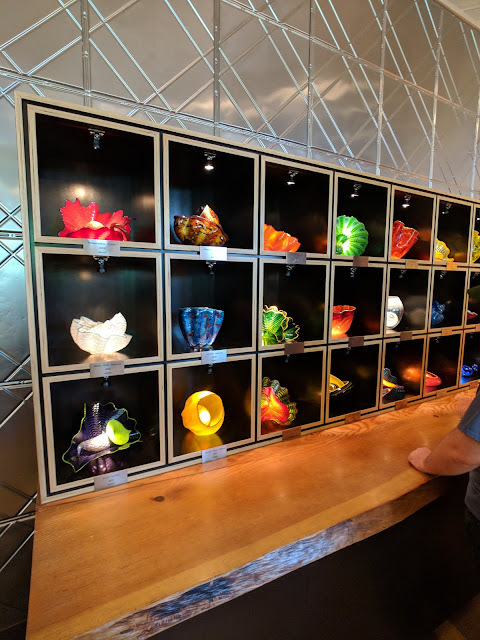 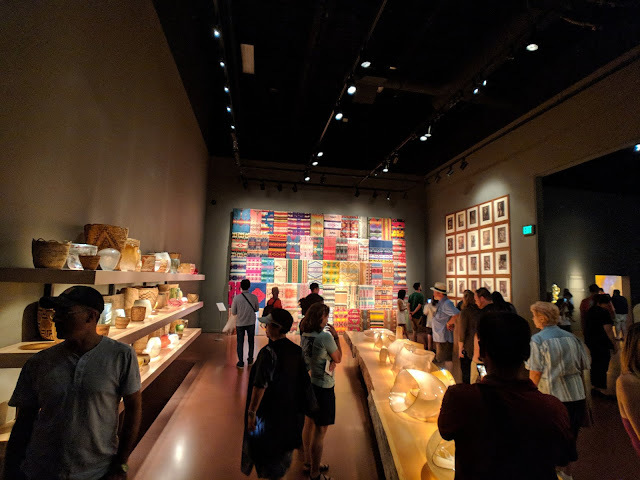 I highly recommend making a stop here before or after going to the Seattle Space Needle, as people of all ages will enjoy exploring the comprehensive collection of art spread out in eight galleries and three drawing walls. 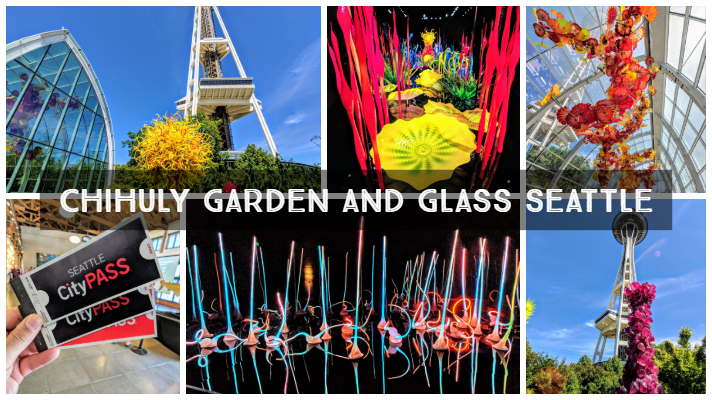 Save 42% or more on Seattle's 5 best attractions with CityPASS - Shop Now! 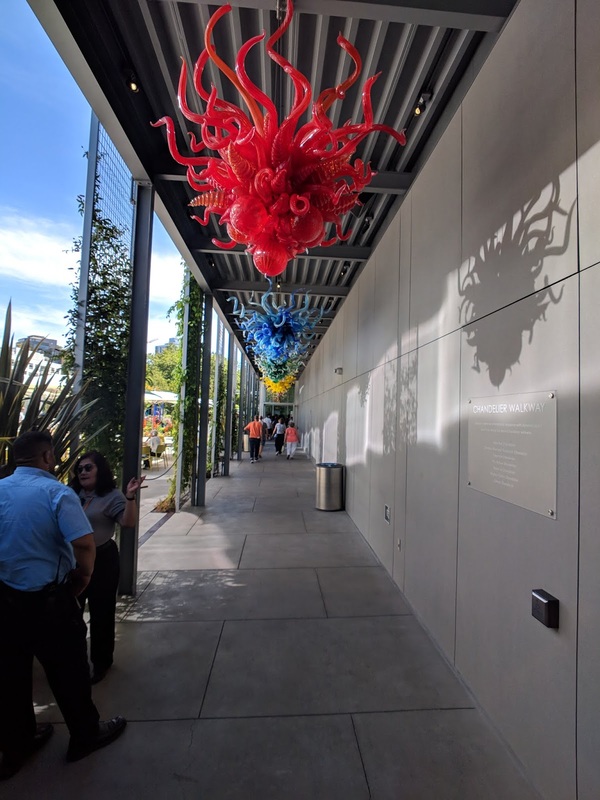 As you enter the building and getting your tickets, you'll make your way into the Glass Forest and enjoy all of the exhibits before heading out into the Garden area. 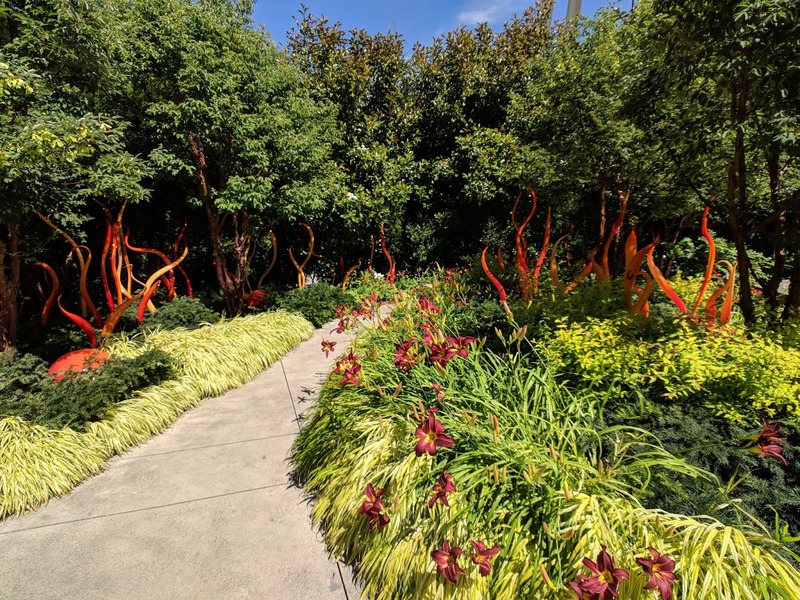 Meander the garden paths lined with trees, plants and flowers, including Crimson camellias, scarlet daylilies, dogwoods, hardy fuchsias and handkerchief trees that provide the setting for the Crystal and Icicle Towers and an installation of Reeds on Logs. At the center of this lush landscape, on a bed of black mondo grass, is the Sun, an explosion of yellow and orange. 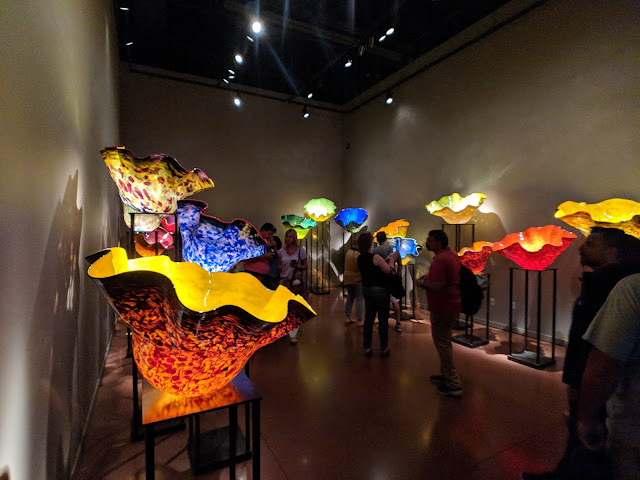 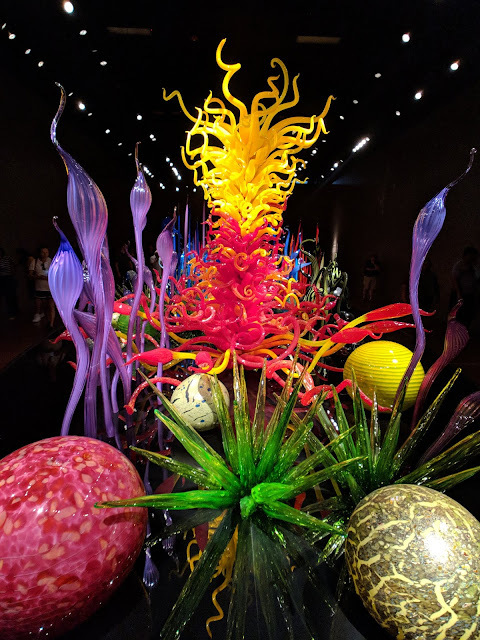 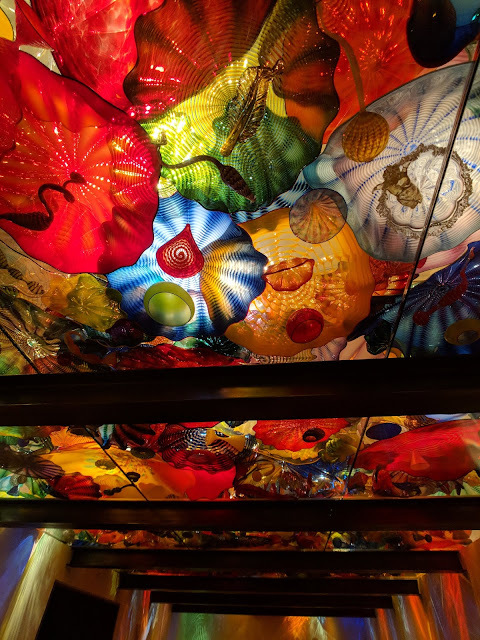 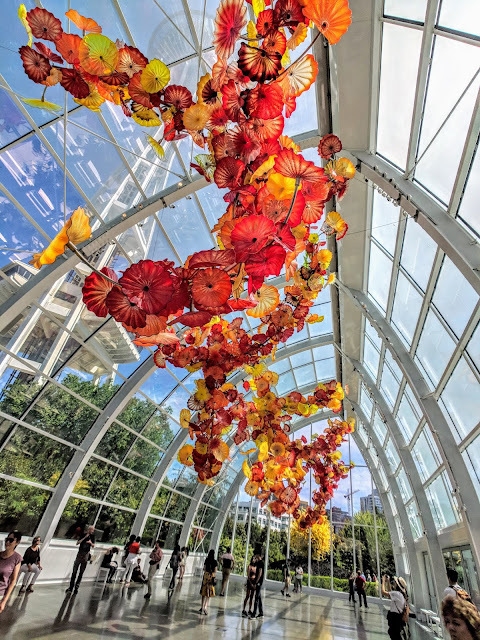 The 40-foot tall glass and steel Glasshouse, the centerpiece of Chihuly Garden and Glass and home to an expansive 100-foot long sculpture in a color palette of reds, oranges, yellows and amber. 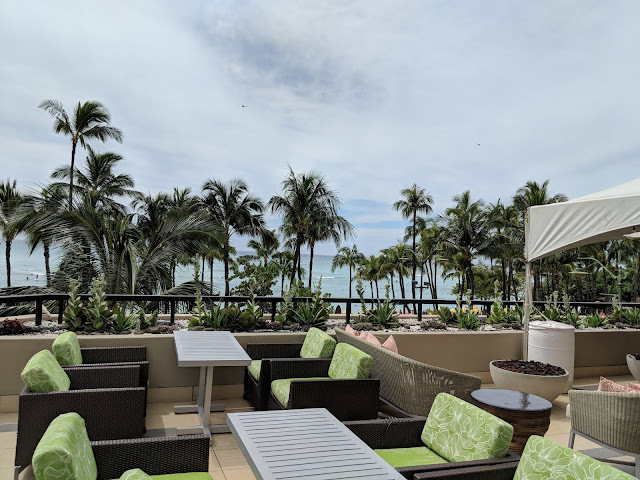 There is also an outdoor seating area and small cafe where you can grab refreshments. Lastly, after making your way through each exhibit, you'll end up in the giftshop and bookstore, where you can purchase small gifts, artwork and books, among many other items. The gift shop has lots of fun small trinkets and art books for kids that are perfect for keeping them busy during summer break. 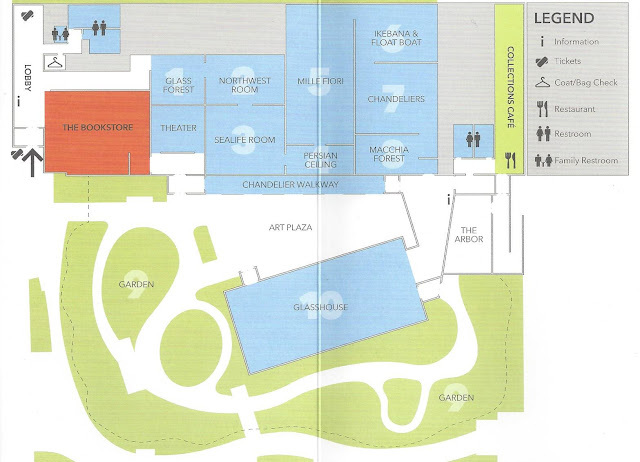 General admission tickets are $29 for Adults and $18 for Youth (5-12), with kids 4 and under Free. If you're planning on attending multiple attractions in Seattle, then your best option is save money is by purchasing a Seattle CityPASS. The easy-to-use CityPASS ticket booklet you receive is valid for nine consecutive days starting with the first day of use and you'll save up to 47% on ticket prices. 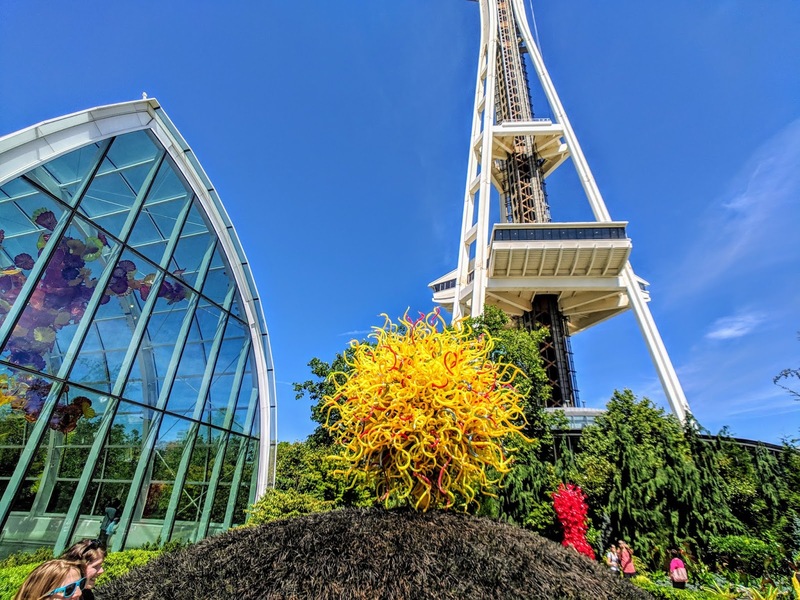 Instead of having to buy each attraction ticket separately, you'll be able to select from the top attractions in Seattle. Also, the Seattle CityPASS includes two visits to the Space Needle, one during the day and a same day visit at night. 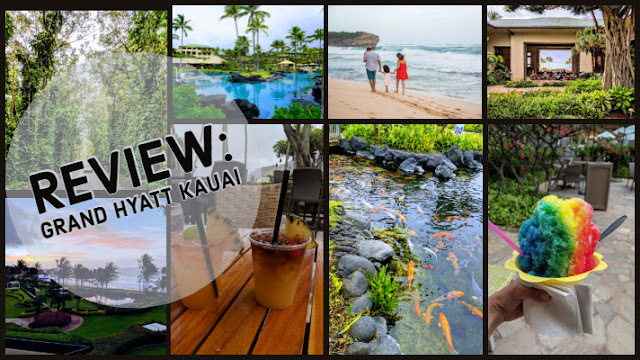 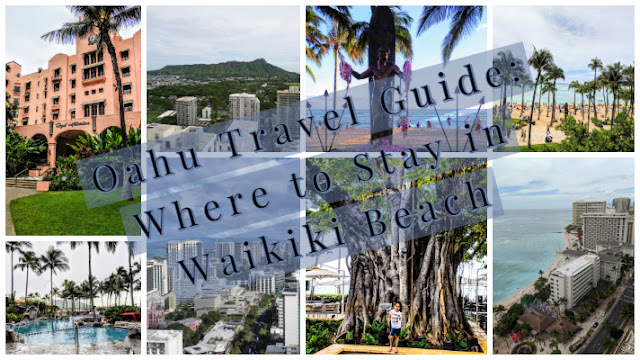 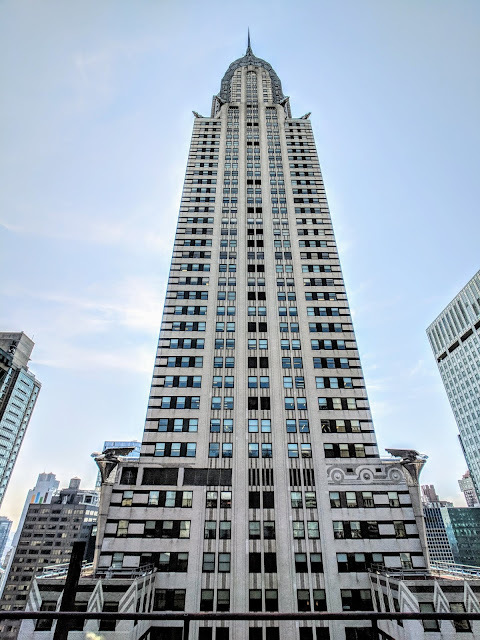 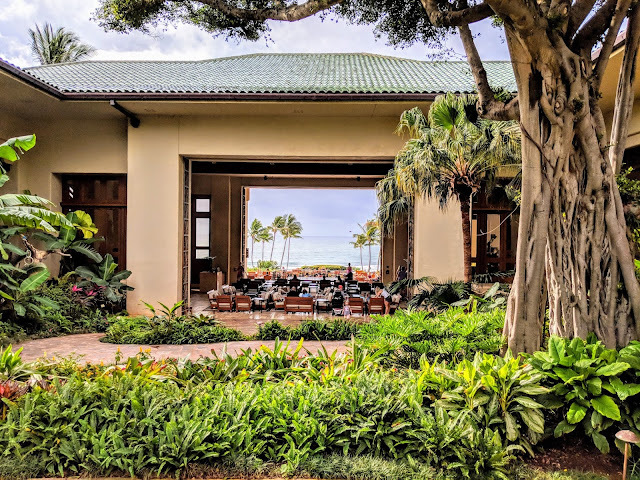 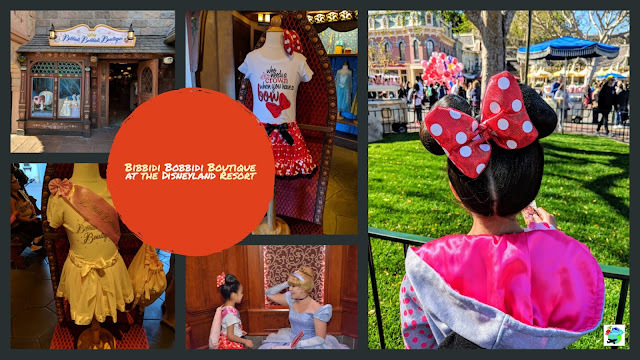 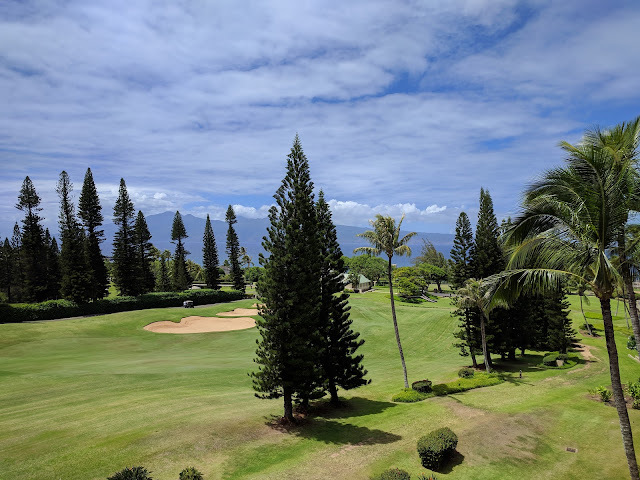 If purchased separately, you'd be paying around $155 or more, depending on the attractions you select that give an option of choosing one of them.  If you want to go to both attractions that have a choice, there is a discount provided in the City Pass booklet as well. 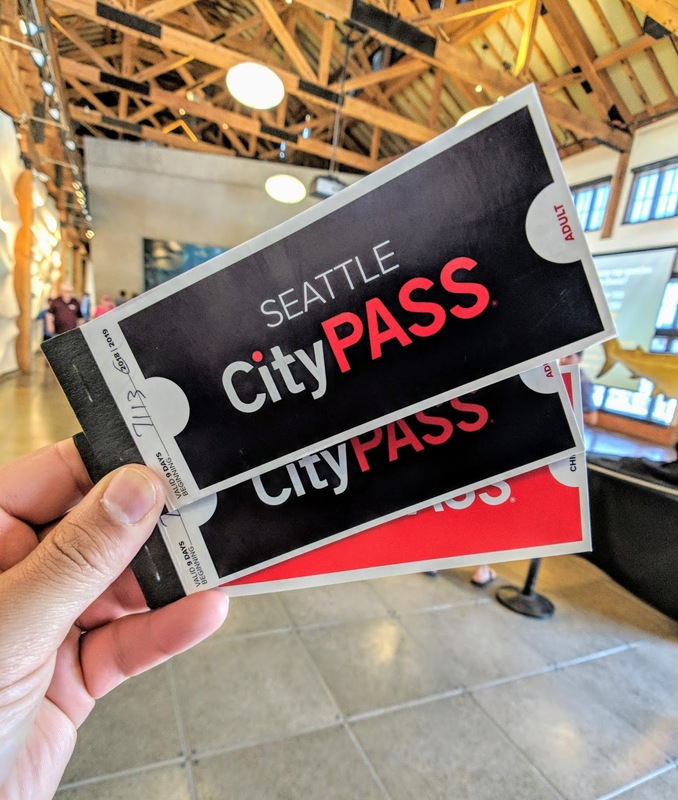 With the Seattle City Pass you’ll save time and money and get to see the city at your own pace! 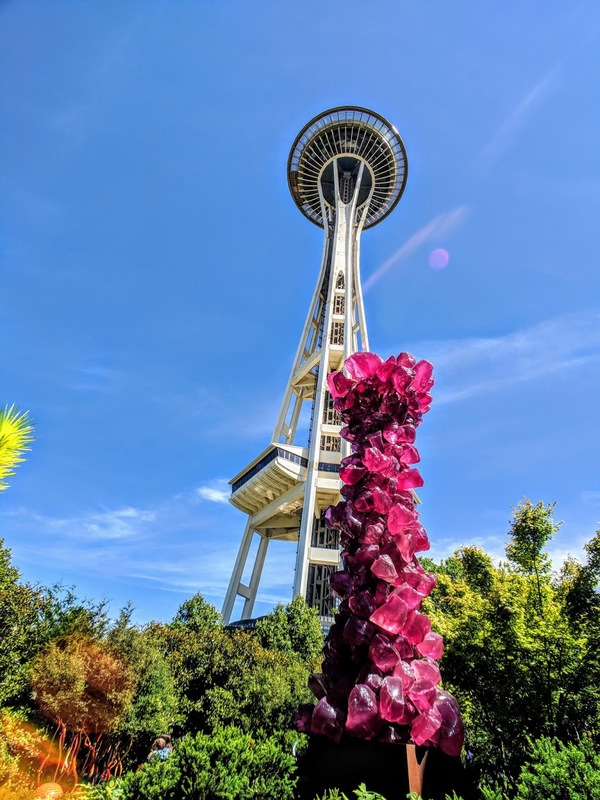 On my most recent visit to Seattle, the Seattle City Pass was simple to use and made sight-seeing easy when traveling with the family. 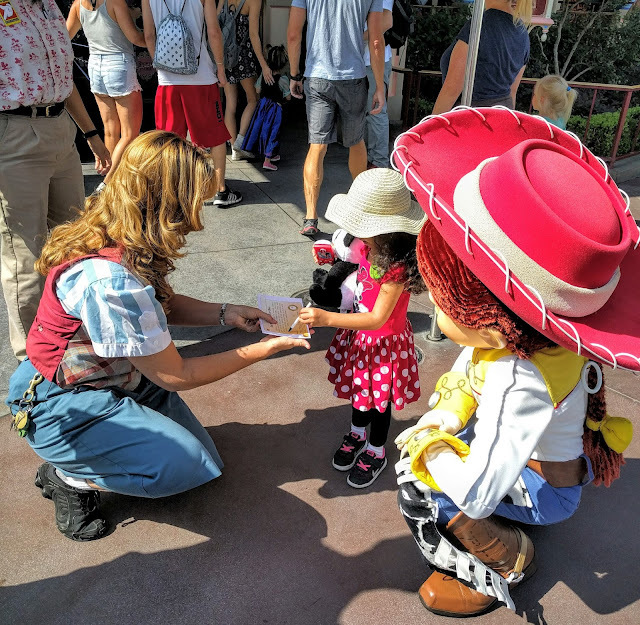 We did encounter small lines when exchanging our CityPASS tickets for tickets at each location, but overall it was nice having everything in one booklet, simplifying the process and knowing we had tickets for each attraction.